Some of the most breathtaking ocean views can be found from a private balcony at the Atlantica condominium in Ponce Inlet. Each unit features an oceanfront balcony with sprawling views of the sun and sand that is your backyard playground at Atlantica. This building is private and secure with 2 high speed elevators, on-site management, and secure, underground parking, while the Atlantica remains one of the most affordable condo options in Ponce Inlet. 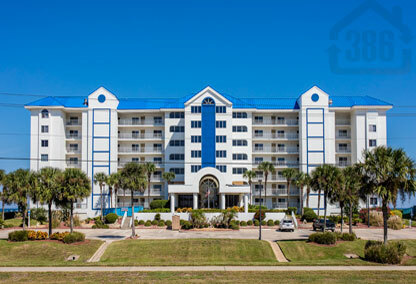 Enjoy the little things that Atlantica offers such as hotel valet carts, grocery carts, and a foot washing station which perfect when returning from a day of fun and sun on the beach. The building also features an oceanfront pool, fitness center, library, and an oceanfront clubroom. Call us today to explore Atlantica and discover that your opulent oceanfront lifestyle isn’t as far away as you might think.